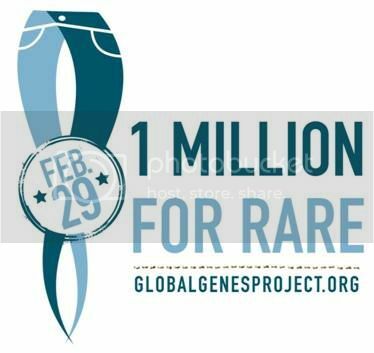 World RARE Disease Day will be on February 29th! 1 in 10 Americans are affected by a RARE disease and more than 350 million people are affected worldwide. 75% of RARE diseases affect children and 30% of children with a RARE disease will die before their 5th birthday. The Global Genes Project is a grassroots effort to bring more awareness to the rare disease community to secure funding for developing treatment and ultimately, a cure. Currently only 5% of rare diseases have any sort of treatment. Thank you Jolly Blogger for providing the post.